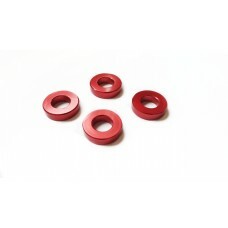 Spacers for brake calipers for mounting larger brake discs made of aluminum alloy and anodized with surface hardening treatment to increase its durability, obtained from the solid by means of numerical control lathe to guarantee maximum precision and finishing touch. 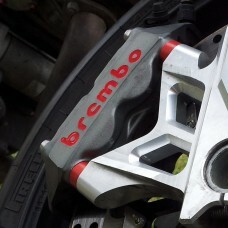 The spacers for oversized discs are used to mount the larger brake disc. 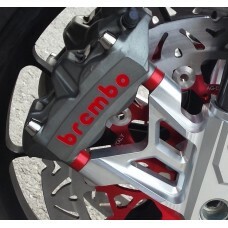 They are applied between the fork leg and the brake caliper, both radial and axial. 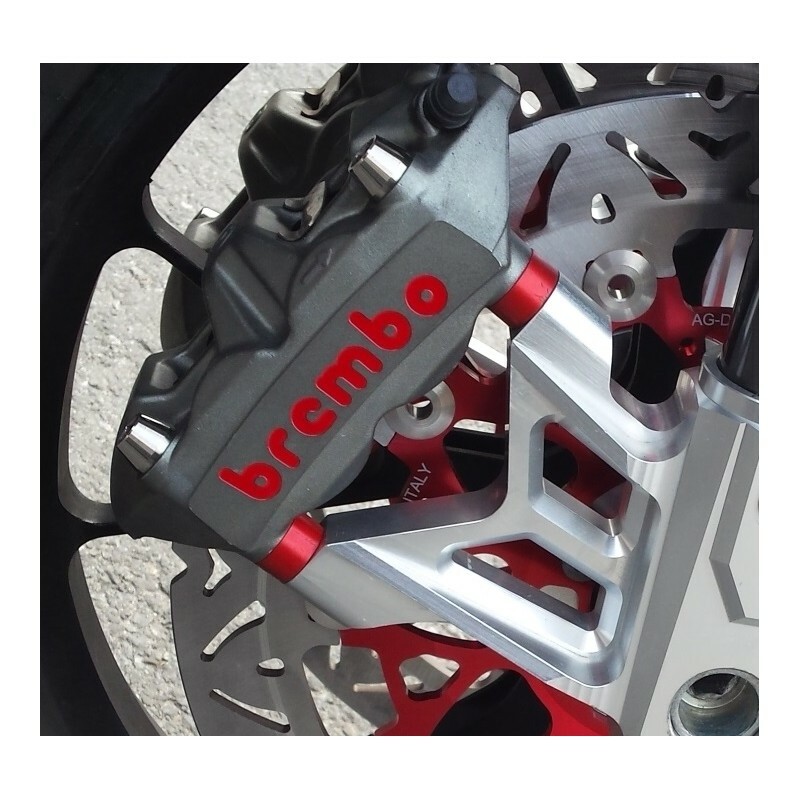 On motorbikes with radial calipers they are used to move the caliper away from the wheel center, in order to be able to mount larger discs. 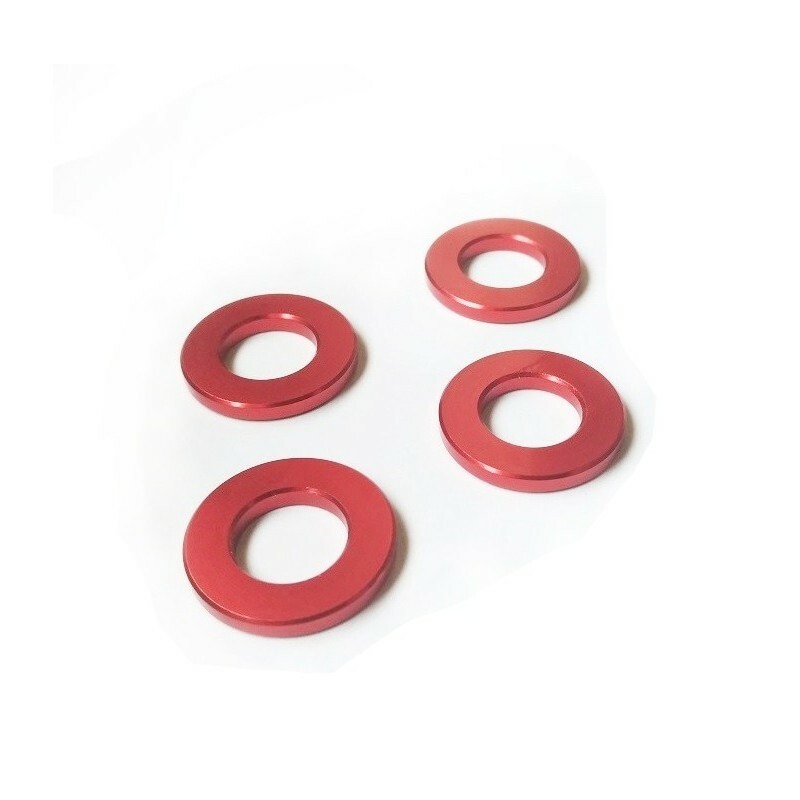 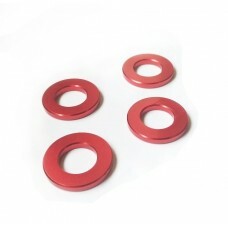 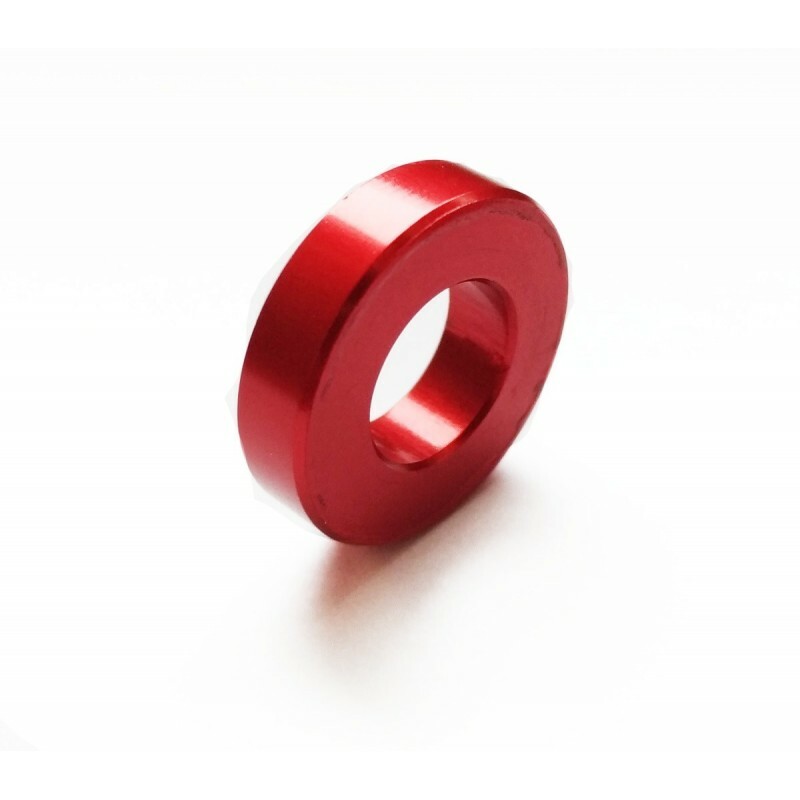 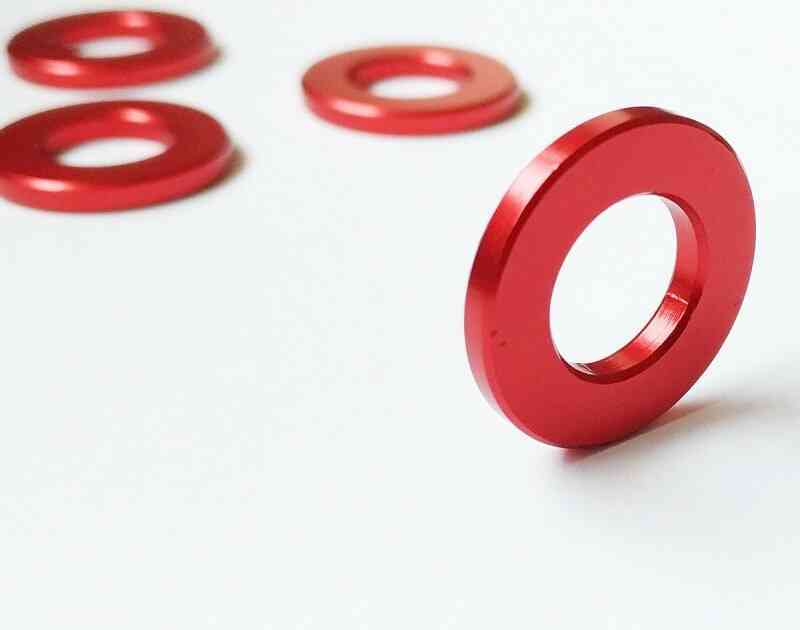 Assuming that the standard disc is 310 mm, to pass to a 320 mm disc, or 10 mm larger in diameter, you will need 2 sets of these 5 mm thick spacers to mount a larger 10 mm disc. 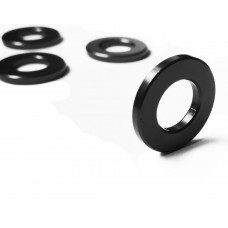 Remember that when you mount a spacer you will need longer screws.